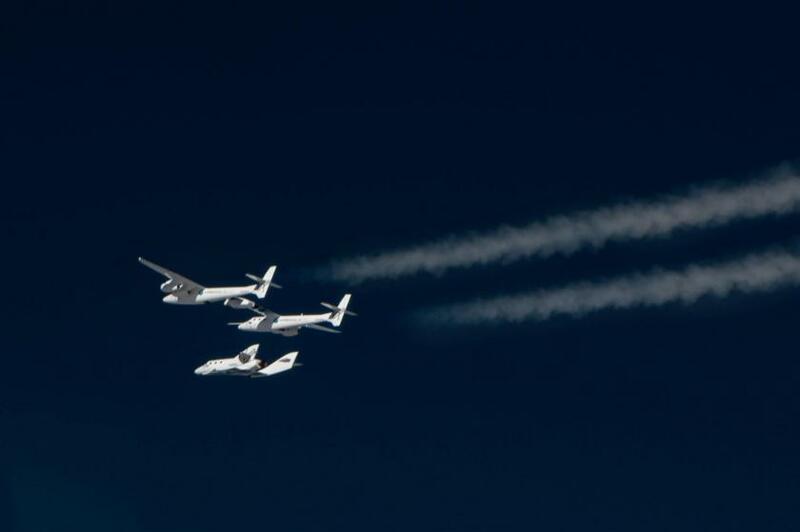 SpaceShipTwo just after she is released from WhiteKnightTwo for another successful test flight. This was her 24th glide flight and the 6th in-flight test of her patented feathered re-entry system. The flight also successfully verified SS2’s nitrous loading and venting system, another key milestone on the way to her first powered flight. 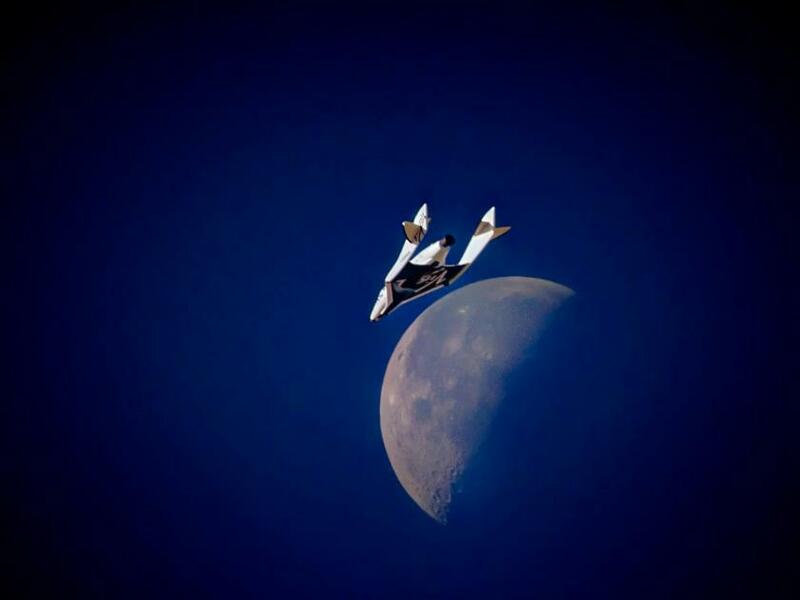 SpaceShipTwo glided past the Moon as she came in to land at the Mojave Spaceport after another successful test flight. 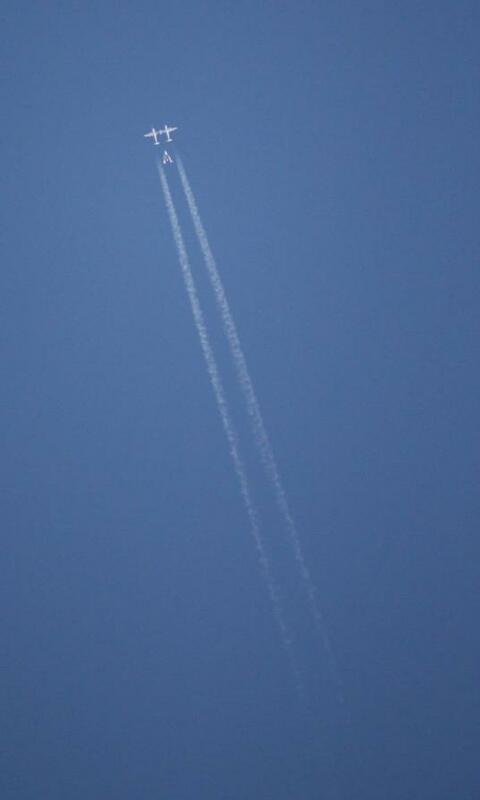 This was her 24th glide flight and the 6th in-flight test of her patented feathered re-entry system. The flight also successfully verified SS2’s nitrous loading and venting system, another key milestone on the way to her first powered flight.